After finding a Jonathan Saunders for Topshop dress late last year at the Red Cross charity shop, I've really got to like his use of colour blocking and neutrals, so it was great to see he has launched a collection for Debenhams. I do love a High Street and Designer Collaboration, so I thought I'd do a post highlighting what Jonathan has designed. Check out his collection here, it really is quite inspirational with some lovely basic pieces in great summer neutrals. Sharon, thanks for sharing this collection. 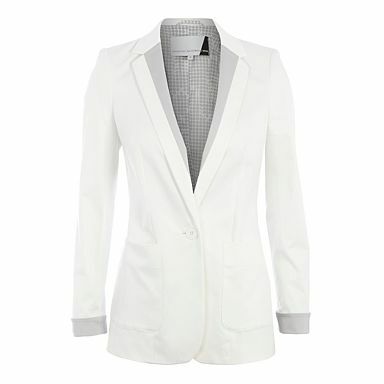 The white blazer is my favorite because of its lining and finishing touches! Thanks for this. I do love a basic T somtimes,and that is a great one. really like the blazer a lot! veery kate moss! That skirt is a real smart one..... classy! Its a lovely collection, I quite like the lime chiffon top. I'm quite pleased they've added a few new designers, I'm looking forward to Johnathen Kelsey's collection. Some beautiful items. The skirt and blazer are my favourites. Cute stuff. 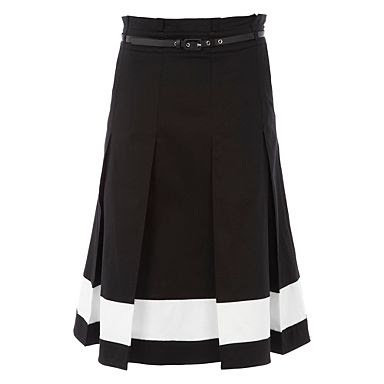 I really like the black and white skirt. Hope you're having a nice weekend, darling. The skirt is my fave.